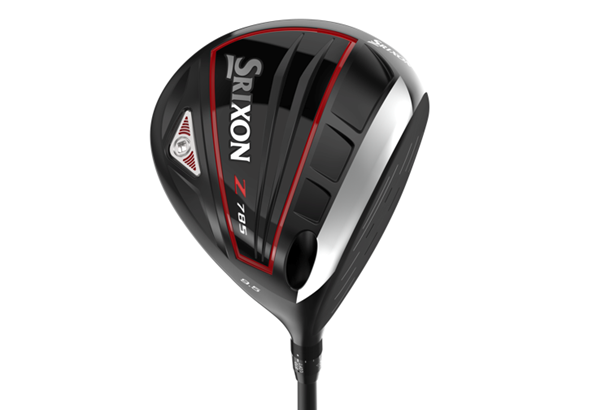 Can Srixon’s new driver hold its own? Imagine spending $55 million a year on tour – and not one player puts your driver in the bag. It must be heartbreaking, but that’s what Srixon has been up against ever since investing in big-name signings like Graeme McDowell, Keegan Bradley, Shane Lowry and Hideki Matsuyama. Part of the issue is how Srixon offers players 11-club deals, which means they often use another brand’s big dog. It could also be argued that Srixon has never quite made a driver capable of outperforming the very best. But we think that’s all changed with the new Z785. Srixon believes up to 24 of them will be in play on tour in 2019, so we thought we should put it up against the very best drivers of 2018. The major breakthrough with the Z785 is a new, lighter, stronger titanium alloy (Ti51AF) in the face. It’s said to be the strongest driver face on the market and because it’s created as a “cup”, there are no welds on the face, which creates a larger hot zone to maintain more ball speed on off-centre hits. There’s also a new carbon-fibre crown, which Srixon say is stronger than you’ll find in similar drivers. It gives a softer, hotter feel and more muted sound. Brands usually use smaller drivers to satisfy a particular design blueprint or the typical golfer the model’s targeting. Smaller heads usually suit the eye of tour and better players who don’t like wide, stretched heads that are ultimately forgiving. 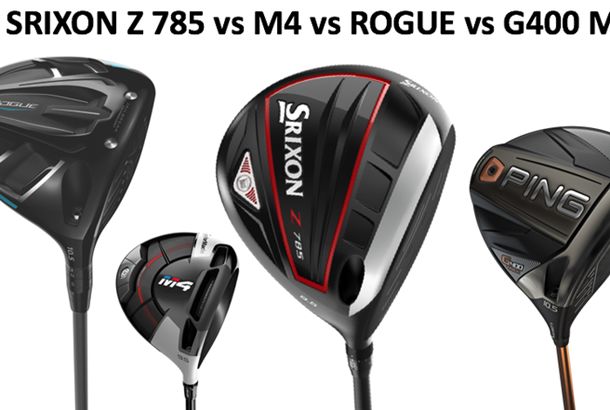 Srixon’s aim is to be a tour and better player brand, so naturally the Z785s head doesn’t look as wide (face to back) as the other three drivers here. For us it sits really well at address, with a neutral face angle (not closed or open), and a simple look. We’ll go as far as to say some golfers will prefer it. Srixon would be first to admit wider body drivers deliver extra forgiveness. They’ll also say such bodies add more backspin, too. 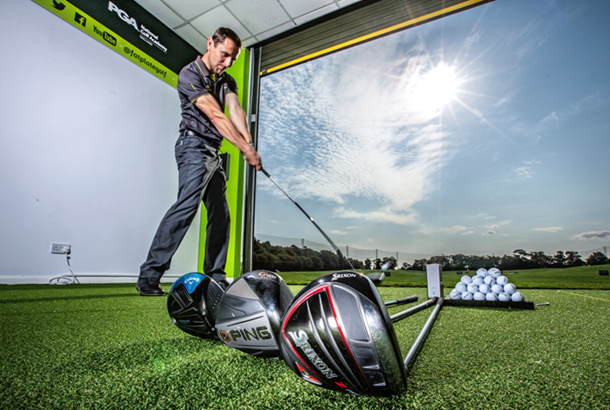 It’s that extra spin which prevents players – usually with above average swing speeds – maximising distance. So if you’re the type of golfer who wants ultimate forgiveness at all costs, the Z785 might not quite be the best solution. But Srixon’s new tour philosophy means the Z785 is tailored to above average players, and within that space it’s outstanding. It’s worth remembering the cup face, with its larger hot zone, contributes to maintaining ball speed on off-centre hits, but doesn’t have the effect of dense tungsten back weighting on spin. Sound is critical to the success of any new driver and the Z785’s new carbon crown not only removes inefficient weight from high in the driver, but also dampens vibration and gives a lovely, muted impact sound, just as Srixon promise. We loved it. Srixon is a Japanese company, and it’s Japanese culture to over-engineer products, even if consumers won’t see or feel any improvement. Srixon drivers in the past have come with Miyazaki shafts (a company they own); they say the quality of the graphite used (more carbon-fibre tubes per square inch) is better than anything you’ll find in an off-the-rack driver. But Miyazaki never quite took off for Srixon in the west, and it’s not a shaft played on tour so they’ve ditched that and gone with a HZRDUS Red 65. It’s a great shaft which is constantly No.1 or No.2 shaft family (Grafalloy HZRDUS) every week on tour. Who might play it on tour? Rumour has it Srixon will be changing at least some of their pro contracts from 11 to 13-club deals in 2019, which is likely to mean the Z785 will be in the bags of the likes of Bradley, MacDowell and Lowry. The jewel in the crown would of course be Matsuyama, who currently uses a three-year-old Callaway Great Big Bertha. Reaching the magic 24, though, is likely to mean uncontracted players putting one in play, too, which is the sort of breakthrough Srixon are hoping for. Mizuno have had lots of traction on tour with their irons lately without paying anyone to use them, and with more pros foregoing equipment contracts to play the 14 clubs and a ball they want, Srixon is in with a real chance. Our data (below) suggests the Z785 deserves a place at the top table of drivers right now. The new face material and cup face construction is fantastic, even if you can’t see or feel it for yourself. All four drivers are virtually inseparable for ball speed, launch angle, backspin and carry/total distance. The real gain for us, though, is including an absolutely top-drawer shaft, which makes the Z785 just as attractive as the other models. It’s also the cheapest club here (though still a hefty £349 rrp). We don’t know yet what new drivers we’ll see from the other three brands, but for 2019 Srixon has certainly raised its game.